September 26 – Culvers Dinner Night Out – All Day!!! Join us for our annual PTA Volunteer Open House at the Whole Foods Market in Naperville to learn about our current volunteer opportunities. We look forward to catching up with past volunteers and getting to know those who are new to Cowlishaw or the PTA! Younger children are welcome and light refreshments will be served. On Friday, September 21st from 6:00 – 8:30 pm we will be having our 3rd annual ‘Dads and Kids’ Pizza Night at our school. Meet in the school cafeteria at 6:00pm for FREE pizza, drinks, and fun. At 7:15pm we will have a presentation about our WATCH D.O.G.S.® (Dads Of Great Students) Program. Finally, at 8:00 pm we will “Line-up/Sign-up.” Don’t miss this opportunity to spend time with your kids, as well as sign up for a day to come to school and volunteer in your child’s class and represent a positive role model for your child and others. You can also purchase your official Watch D.O.G. T-shirt! Please review the link below for several spirit wear options! The website was recently updated with new items! We will also be selling spirit wear at our next few PTA events. Make sure to rock your Cowlishaw blue and green on SPIRIT FRIDAYS all year!! We will be having some fun raffles with prizes awarded to some lucky students showing their school spirit! 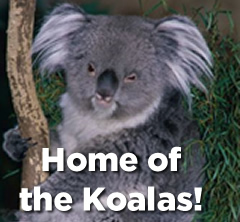 GO KOALAS! We are in need of help fundraising and planning for the 5th Grade Farewell. If you are interested in being on the planning committee or selling bubblegum on Friday mornings, please contact Ally Hoerr at hoerram@gmail.com. The Cowlishaw PTA now has an Amazon Smile account!!! Use the link below for all of your Amazon shopping needs, and 0.5% will automatically come back to the PTA! The website can also be accessed via the Cowlishaw Homepage under the PTA heading. Additionally, Cowlishaw has a Twitter account: @cowlishawkoalas.